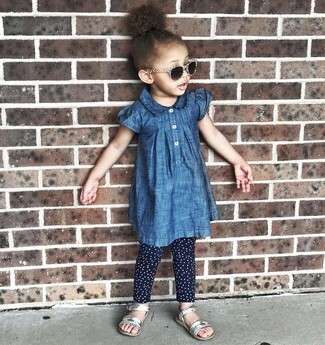 Suggest that your tot wear blue denim dress and navy polka dot leggings to get a laid-back yet stylish look. 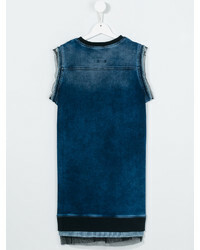 This style is complemented brilliantly with silver sandals. 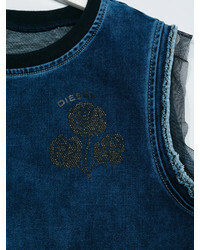 For an everyday outfit that is full of character and personality suggest that your little fashionista team Diesel kids teen sleeveless denim dress with a blue cardigan. White sneakers are a good choice to complete this look.